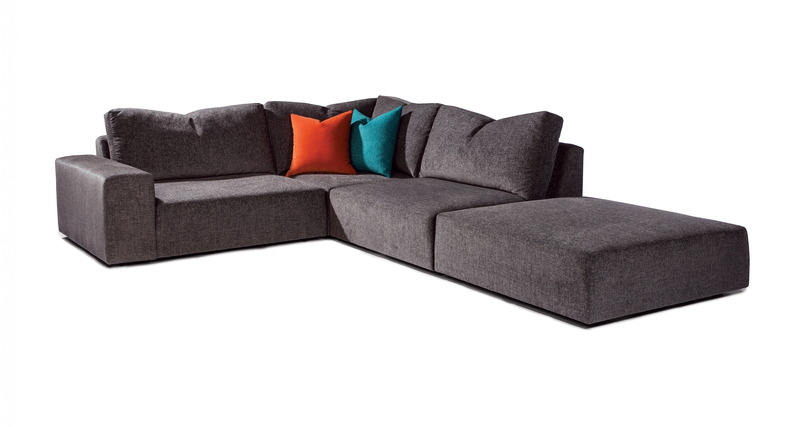 Designed by Guy Hill, the Back It Up modular seating system provides a tailored environment for lounging and a variety of furnishing solutions. Featuring seven modular units to mix and match, innovative seating construction with expansive soft seats, recessed ebony legs, our Back It Up modular system is extremely versatile and comfortable. Select from any of our in-house curated fabrics or leathers. 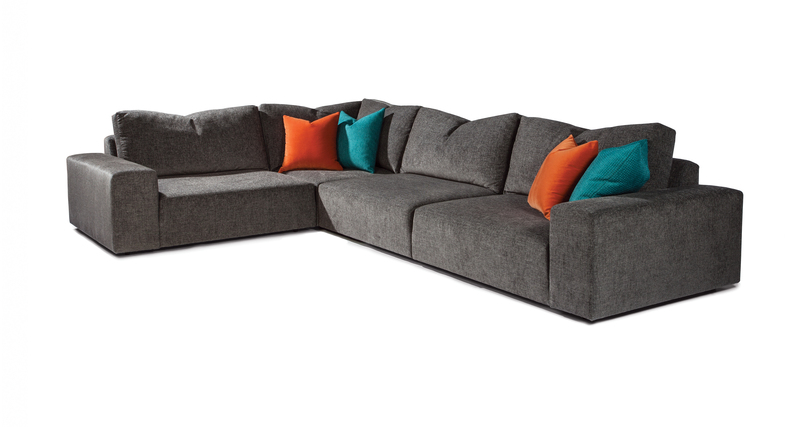 Comfort wrinkling is to be expected and part of the design of this collection. Height to top of back cushion 33 inches approximately. Hidden ebony legs standard. Throw pillows optional. Comfort wrinkles should be expected.